A group of eight women started an indefinite hunger strike in Spain almost a month ago to demand the government sign a new agreement to fight violence against women - this in a country that has cut at least 25% of the equality budgeting since 2011. The first two months of 2017 have been especially tough for women in Spain. According to the official numbers, more than 20 have been murdered in crimes based on gender. 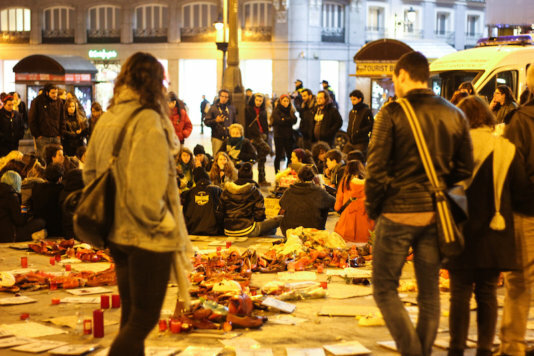 Ve-la luz, a women’s rights group from Northwest Spain has established a camp in Sol —Madrid's central square— to raise awareness about this type of violence and to demand a new agreement with stronger measures to stop it. Ve-la luz has written a manifesto of 25 points where they aim, among other things, to consider the murders part of terrorism and to change their definition. One of the requirements is that these crimes are named femicides, a more accurate term used frequently in Latin America that relate to those involving the violent and deliberate killing of a woman, according to the UN. The gender violence spike in the first two months of the year “has been a terrible beginning to the year, and part of a general trend of a misogynist conversation and violence against women around the world”, laments the specialist in gender studies, Nuria Varela. Susana Bejarano, part of the eight woman-group who started the strike and spokesperson in Madrid of Ve-la luz, took a leave from her job the first fifteen days of the protest but now she combines work and then comes back to the camp: “A difficult labour, because four of our comrades had to leave due to their health condition. Now we are just four and we are all taking antibiotics”, she recalls. Along this month, they have hosted assemblies, collected signatures, visited the Spanish Senate and received support, "especially from young women who are really empowered and spend the night with us", Bejarano says. A group of 10 women and one man joined the hunger strike on March 4th to give support to Ve-la luz members, whose have suffered gender-based violence themselves. “I was a victim back in 2004. Fortunately, my family is now out of danger but as I suffered this and now I see that this is even worse, I told myself that I could not look turn a blind eye and I needed to help these women”, Bejarano states. The psychologist and specialised in gender equality Estefanía Vázquez wants “to be positive and believe that this strike is going to work but it seems that they have to keep risking their health to make this problem visible." 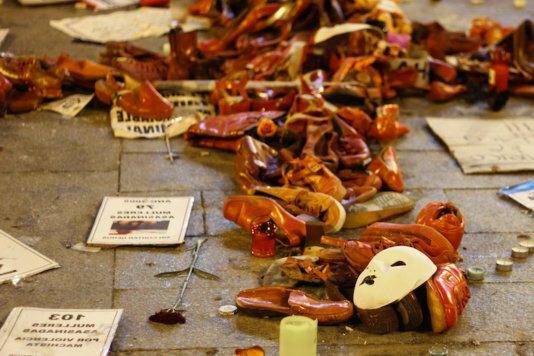 Statistics started counting femicides in Spain back in 2003, and between that year and 2016, 871 women have been killed by their male partners or former partners. "Even though Spain has some failures calculating the number of the deaths, it is one of the first countries to do it in Europe and it works as a historical record”, adds Varela. One of the current challenges is to include women who aren't “in a partner context - another indicator that needs to be implemented to describe their situation”, the specialist emphasises. Another thing that worries Varela, Bejarano and Vázquez is low-budget in equality. As Varela explains, “since president Mariano Rajoy took the office in 2011, equality budgeting has been cut by 26%, so we barely have prevention and awareness programs and there is also a lack of security for women”. The Gender Equality Index of Europe in 2015 shows that in Spain 36% of the population is aware of at least one case of domestic violence, while only 44% and 68% of the population has trust in the justice system and the police respectively. “It is necessary to have a political will against gender-based violence, something that unfortunately has not happened with this office. Spain was a leader in gender policies because they were progressive when they were approved in the 2000s but most of them aren't being implemented today”, Varela says. The Contemporary Western society has a problem with connection. How does the EU intend to ensure that the European Development Goals in the future are not primarily a reward for migration control measures? "Europe is Unconcerned before the Mediterranean." Could you break into Fortress Europe?